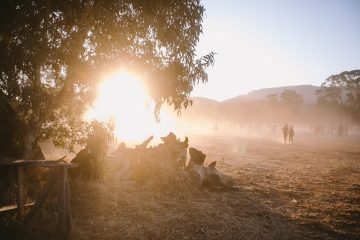 Deep into the earthy terrain that is Mafeking, Victoria, Pitch Music and Arts Festival returned for it’s second year. 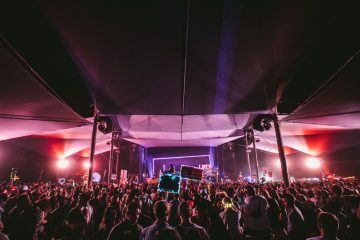 The multi-day festival received a huge wrap in 2017 from artists and punters alike, with a debut lineup boasting the likes of Dixon, Ben Klock, John Talabot, Paula Temple, Toro Y Moi, Gold Panda and more. 2018 saw the return of a festival beyond its teething period, with a lineup reflective of the hard work the crew behind Pitch have put into it. Topping the bill for year number 2 was The Black Madonna, Bicep, Len Faki, Heidi, Mano Le Tough, Moodymann and Ben UFO among others. 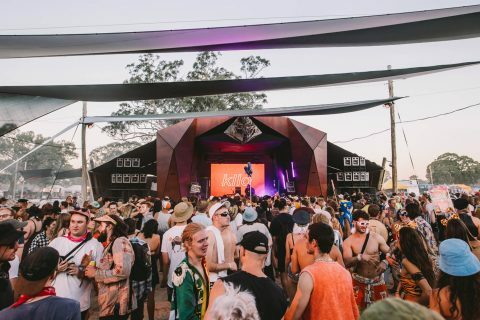 The event, despite a late withdrawal for headliner Maceo Plex was an overall success, and we can confidently say it set the benchmark for what a festival should be in Australia. After a stress-free entry into the festival and setting up camp it was off to the stages explore what the weekend ahead had in-store. Music didn’t start until 5pm on the opening night, so with time to kill, we decided to check out the food… Naturally. The food options were top notch and of top quality, ranging from vegan cuisine, burgers, Mexican, pizza, acai and specialty coffee. The general store was run by a lovely Italian couple who sold all the essentials needed when heading to a festival… chairs, water, tampons, zooper-doopers, powerade, air mattresses and even tents were up for grabs. They really had all bases covered. As we ventured around the picturesque festival grounds, we observed and appreciated some of the little efforts that went a long way in making in festival so unique. From sanding each stage to reduce dust, to the water sprinklers towering over crowds at stage one to cool us down, there were many simple yet clever touches that made a world of a difference, particularly when you’re in the middle of nowhere. Instalments such as hammocks underneath trees and large hay barrels stacked together as seating areas were super convenient as well as creative, and definitely played an aesthetic role as well. As the sun began to set over the mountains, 5pm came to introduce the first set of the day. Melbourne local Cassettes For Kids kicked off the weekend playing all things house and disco. The vibe was awesome and definitely set us up for a big night ahead. The first night was spent on stage one. 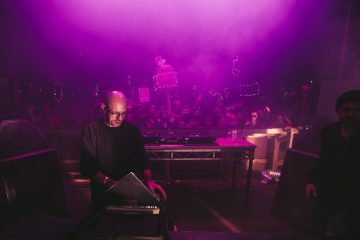 The night began with OR:LA, who over the whole festival was a huge highlight for me and definitely lived up to the hype from the huge boiler room posted this year. The entire opening night was incredible, closing things off with Booka Shade (Live) who produced a truly amazing set, changing the entire energy of the crowd. Day 2 started off with a coffee, some breaky and a stroll to check out the stages. To my surprise, the first set at 10am was absolutely packed. It was so awesome to see music being the priority at Pitch, with people even bringing their chairs and a cold VB to setup at stage one for the long haul. The day really kicked into gear for me when we ventured to Fortunes. set, who were on at 3:30 in the afternoon on stage 2. The Melbourne duo have been favourites of ours for some time now, turning heads with some stellar releases via Future Classic over the past 2 years, and that energy definitely came through in their live show. From here, things got a lot deeper. Tom Trago – who we recently spoke exclusively with – got us moving later in the afternoon on stage 3, which worked as a splendid warm up for CC:DISCO! back on stage 1. If you have seen a CC:DISCO! show before, you know it goes without saying that she delivered the goods. As day became night for day 2, stage 1 become our residency, with The Black Madonna absolutely owning the stage for a handful of incredible hours. Shaping up to be the best set of the weekend for me, The Black Madonna had the entire crowd induced in her music the whole set, playing a huge variety of tracks that sent everyone wild. Closing the second night for us was fellow American, Seth Troxler, who produced an interesting and ingeniously curated set. The third day started a little later for us after some devious overnight activities, but the energy was still high from everyone on site. One factor we have yet to mention that was a huge highlight from Pitch were the doof sticks. 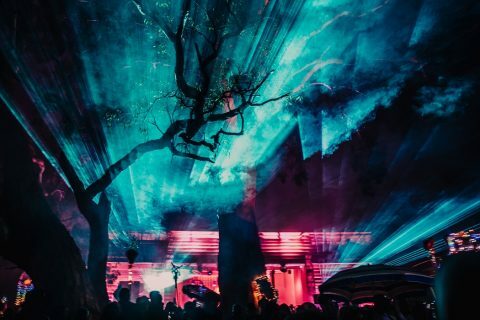 Albeit, some slightly more crude than others, but they really brought out some of the funnier aspects to festival life, as well as creating a spectacular sea of fairy lights and lanterns across the crowd come night fall. 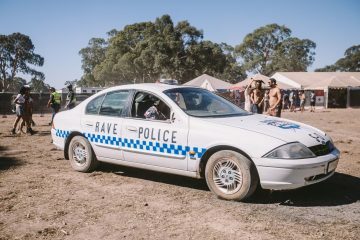 On top of this, there was very a much a decked out old Ford Falcon making it’s way around the grounds repurposed as the ‘Rave Police’. An apt inclusion over the course of the weekend. Now back onto the music, day 3 began for us with a monstrous set from NSW up-and-comer Willaris. K. As one of the most talked about artists rising up right now, we couldn’t avoid catching him live again. After impressing us at Big Sound back in September, it was clear Willaris. K has honed his craft and built up his skillset, as despite being one of the lesser known acts on this huge lineup, he was easily one of our highlights. After a short breather and a much needed cool-down, it was time for Mano Le Tough. 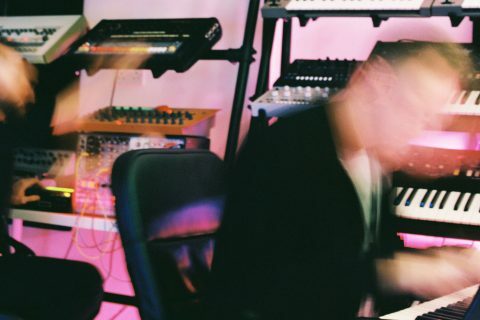 The Irish selector was high on our list of must-see artists over the weekend, and he did NOT disappoint. The finely crafted set saw the bulk of the Pitch crowd in awe, and was a solid pre-curser to Papa Sven who utterly dominated. It goes without saying that Sven crushed it, and with over 20-years under his belt, that legendary skillset proved to be an incredible showing. From here, we caught the back end of UK selector Ben UFO’s set on stage 2 that led into an impressive, hour-long slot from the enigmatic Floating Points. Stage 2 really became the home ground for day 3 from here onwards, with a monster set from Heidi warming us up perfectly for the closer from another highly anticipated headliner, BICEP. After releasing their incredible, self-titled album back in 2017, BICEP have been at the top of our must-see list. I can tell you from experience that the album translated into a live show superbly, and left everyone in awe following. Day 4 comes along. We were a bit rusty, but that didn’t stop us from heading to the stages. We couldn’t miss out on the sets from DJ Tennis and Motor City Drum Ensemble. DJ Tennis warmed up the afternoon perfectly with some housey tunes preparing us for a huge closing ceremony led by Motor City Drum Ensemble who truly took the crowd on a journey. Everyone singing and dancing together with their hands in the air after is a moment I will never forget and I could not think of a better way to end an incredible, life-changing weekend. So after 4 and half days of driving, partying, sleeping, partying, not sleeping, eating, drinking, meditating and partying, it’s safe to say Pitch got the better of us. 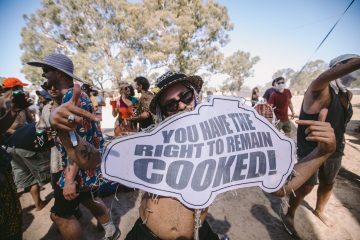 Now a couple of weeks on, we can happily say that this event is definitely a leading example of how Australian festivals should be. 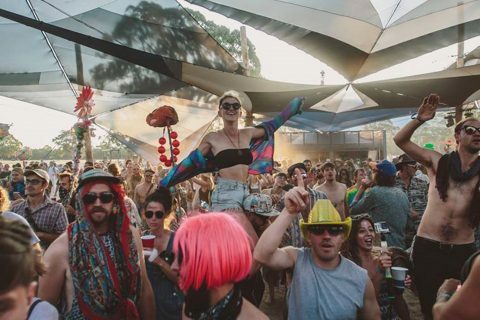 The music, the people and the atmosphere all tie together perfectly to create an incredible experience for punters and artists alike. We’re excited to see how they tackle next year after setting the bar so high in 2018. See you next year, Pitch! 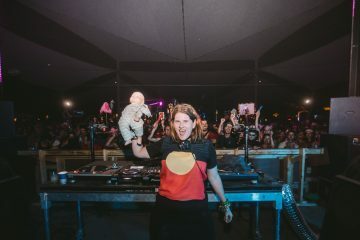 Pitch Music & Arts Festival 2019: Was this the best one yet? 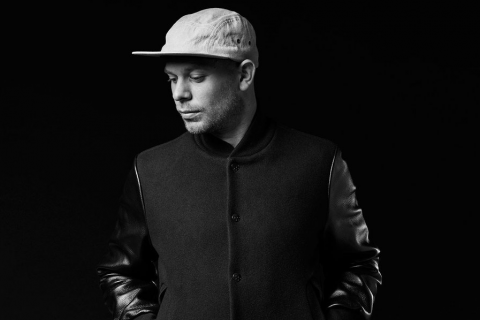 Tom Trago talks fatherhood, club life and Bush Doofs!